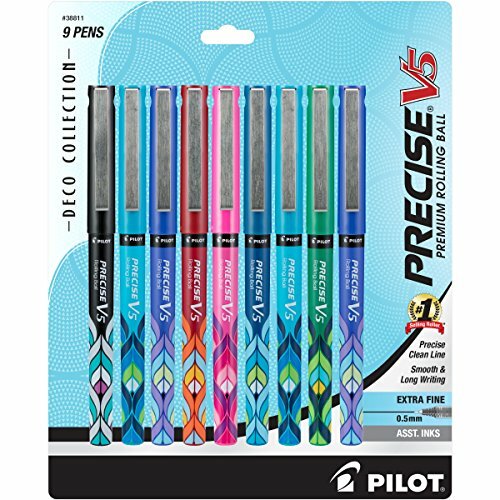 Pilot Precise V5 RT Retractable Rolling Ball Pens feature a unique liquid ink formula that maintains consistent flowing strokes. With patented precise needle point technology, each pen has a ringed ink feeder for a smooth and even ink flow, and a visible ink supply lets you see how much ink is left. 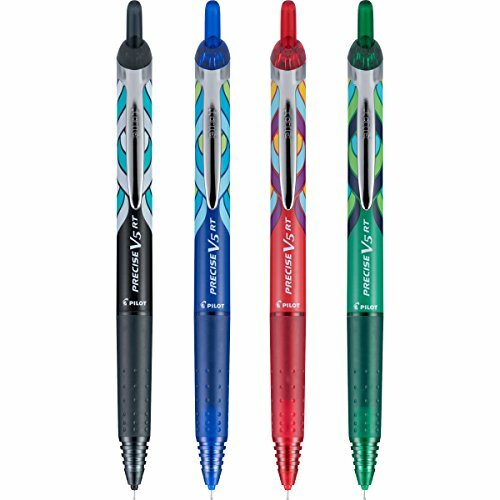 These pens come with 0.5mm extra fine point tungsten carbide tips and are available in a variety of colors (sold separately) to emphasize, organize, and color-code information. 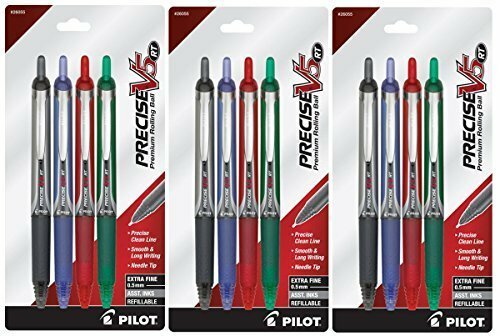 Pilot Precise V5 RT pens have a retractable, new-age design that is refillable and also safe for airplane use. An all-around quality retractable pen - pick one up today! 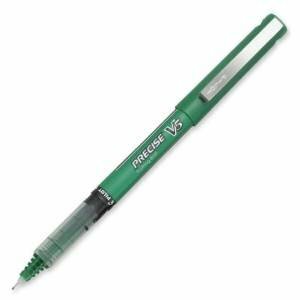 Pilot Precise V5 RT Liquid Ink Refills fit the Precise V5/V7 RT and Precise V5 Be Green Rolling Ball Pens. These ink refills contain smooth writing, smear-proof liquid ink and are available in a 2-pack with fine (0.7mm) points for your favorite Pilot Precise Ink pens. The refills feature a unique liquid ink formula that maintains consistent flowing strokes. With patented precise needle point technology, each pen has a ringed ink feeder for a smooth and even ink flow. They are even safe for airplane use. The unique liquid ink formula maintains consistent flowing strokes - no smearing or blotting. Pilot Pen offers high-quality, smooth writing instruments that enable you to get it all done with style and ease. Whether it's helping you to take the stress out of writing or achieve calendar management, Pilot pens allow you to accomplish your mission. Pilot's Precise V5 Deco Collection brings bold design to the barrel of the classic smooth-writing Pilot Precise V5 rollerball pen. Always a favorite for it's consistent, flowing strokes and precise clean lines, the Precise looks better than ever. Pen is capped with pocket clip on cap. Extra fine point. 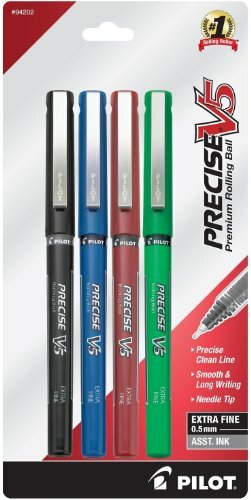 Sold as 3 pens per order: Pilot Precise V5 RT Retractable Rolling Ball Pens feature a unique liquid ink formula that maintains consistent flowing strokes. With patented precise needle point technology, each pen has a ringed ink feeder for a smooth and even ink flow, and a visible ink supply lets you see how much ink is left. These pens come with 0.5mm extra fine point tungsten carbide tips and are available in a variety of colors (sold separately) to emphasize, organize, and color-code information. 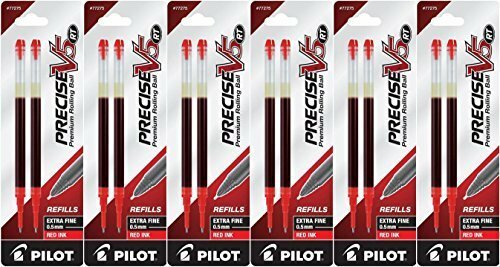 Pilot Precise V5 RT pens have a retractable, new-age design that is refillable and also safe for airplane use. An all-around quality retractable pen - pick one up today! 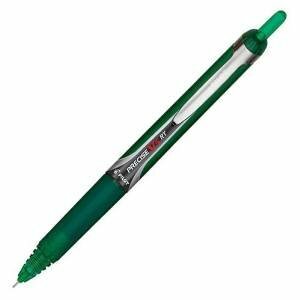 An earth-friendlier pen, the Pilot BeGreen Precise V5 Rolling Ball Pen is made from 89.2% recycled materials, and can be refilled, so you can use this pen over and over again. The unique liquid ink formula maintains consistent writing strokes. 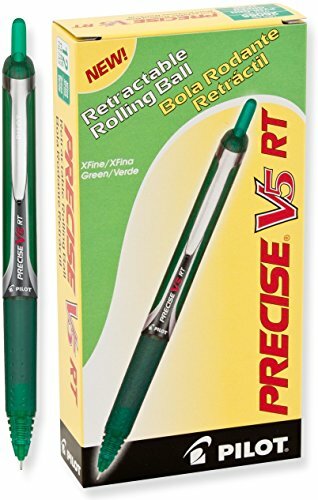 Each pen features patented precise needle point technology that lets you draw or write with the finest line and is refillable with Precise V5 RT refills. The visible ink supply lets you see how much ink is left. Each pen meets ISO 14001 and 14021 Standards for environmental responsibility. Pilot Pen is proud to be part of the movement - providing consumers with a wide selection of responsible choices that can be part of their everyday commitment to make our planet cleaner and healthier. Pilot BeGreen - Positive with the Planet! Pilot's Precise V5 RT Deco Collection brings bold design to the barrel of the classic smooth-writing Pilot Precise V5 rollerball pen. Always a favorite for it's consistent, flowing strokes and precise clean lines, the Precise looks better than ever. The V5 RT features retractable convenience with a sophisticated metal clip and incorporates an airplane safe system. Extra fine point, refillable with a variety of ink colors with Pilot refills 77273, 77274, 77278, 77279, 77280. Same player live again thanks to the refills of the V5/V7 Cartridge System! 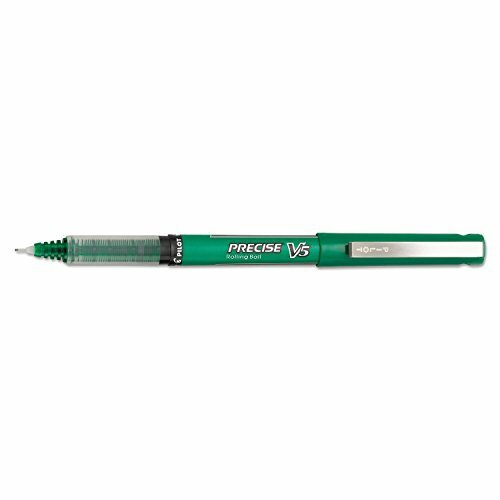 Compare prices on Pilot Pen V5 Green at ShoppinGent.com – use promo codes and coupons for best offers and deals. Start smart buying with ShoppinGent.com right now and choose your golden price on every purchase.